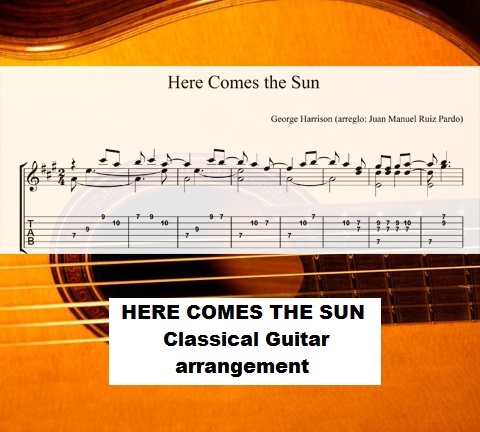 Play the famous Beatles song “Here comes the sun” a song written by George Harrison and first released on the Beatles’ 1969 album Abbey Road. Along with “Something” and “While My Guitar Gently Weeps”, it is one of Harrison’s best-known compositions from the Beatles era. The song was written at the country house of his friend Eric Clapton. Juan Manuel Ruiz Pardo re-arranged it for classical guitar.